Our Clients' Profile: Is This You? Ontdek is the leader for genuine nature travel in Kenya. Since our foundation in 1996, we have had the privilege of serving and interacting with many nature travelers from all parts of the world. 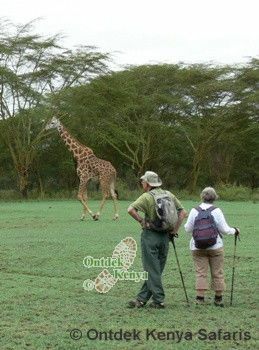 We would not want to stereotype our clients and we respect that individuals have different personalities, but over the many years of organizing walking vacations, bird watching tours, photography safaris and unique wildlife safaris in Kenya, we can convincingly say that our clients stand out and this gives us a fairly good idea about them long before they arrive in Kenya. - They are men and women of all ages, who are active to their ability, love outdoors and are downright particular about comfort, safety, perfect ground logistics and itineraries that are carefully designed. Many are professionals while others are retired but they are all widely traveled, mainly on vacations with an eco-tourism theme. - Teachers and their students rank high on our list of clients. They like our educational itineraries which are all round in nature sciences, outdoor activity , intelligent guiding and of course fun!. - Though some of our clients are specialized in one area for example birdwatching , wildlife photography, agriculture or walking , they also appreciate plants, great scenery and culture. In short they have a very broad view of nature travel that they simply can't be fit in a package safari. - While wildlife viewing is important to them (and we make sure they see a lot it ), they are not fixated with the "Big Five" at all costs, they want a responsible approach to wildlife viewing in safari itineraries that are not restricted to "morning and afternoon game drives". The tiny Dik Diks, Banded Mongoose, Rock Hyrax, Spring Hares give our clients as big a kick as the massive Elephant, Buffalo,Hippo or Rhino. - They are not out to visit all the Kenyan parks, they prefer a slowed down program that allows them to "freeze-the-moment" in selected parks with enough time to explore , relax and be away from mass tourism. - They have budgets to mind but they are not necessarily looking for the cheapest deal. They want value for their money and would spot a marketing gimmick from a mile. - Physically, there are not athletes and they are not out for extreme & adrenalin activities. They are nature travelers with average fitness but enjoy outdoor activities that are flexible to suit their abilities. 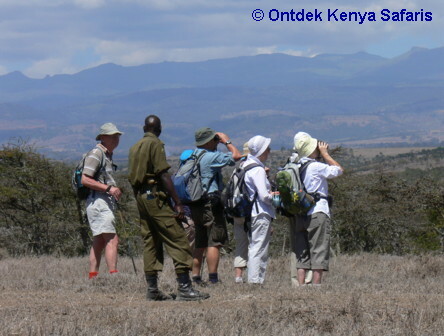 - Some ask us for private safaris while others prefer to join like-minded eco travelers in small group safaris. If you see yourself in the above description, we are sure that it is comforting to know that Ontdek, as your Kenya safari operator, already connects with you and we are at hand to organize your safari to Kenya. Kindly contact us for a custom tour.